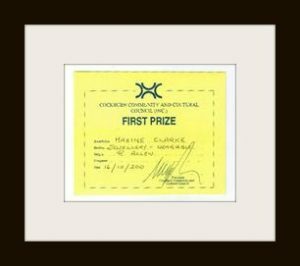 1st Place Award Winner - The West Australian Lapidary and Rockhunting Club's 2018 Annual Competition. 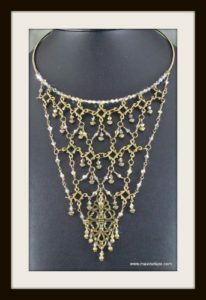 A piece of jewellery constructed using a bead weaving (on or off loom) technique. Jewellery must be ready to wear. Judging is based on aesthetics, technique and originality. I am excited to say this gorgeous Glass Bracelet was awarded 1st place in the Beading – Woven (on or off Loom) Division of the 2018 West Australian Lapidary and Rockhunting Clubs Annual Awards. Transparent cherry red glass beads & opaque metallic gold mix glass seed-beads are combined with right angle weave (RAW) stitching and wire wrapped sections to create this cheerful bracelet. 5 sets of “cherry” charms are created using the same red glass beads and Czech pressed glass leaves. A lobster claw clasp and extension chain complete the design. From the extension chain drips another red glass bead. 2nd Place Award Winner - The West Australian Lapidary and Rockhunting Club's 2018 Annual Competition. Like a wild but contained garden. Gorgeous transparent Czech pressed glass bell flowers and leaves drip from these spirals like buds bursting into bloom. 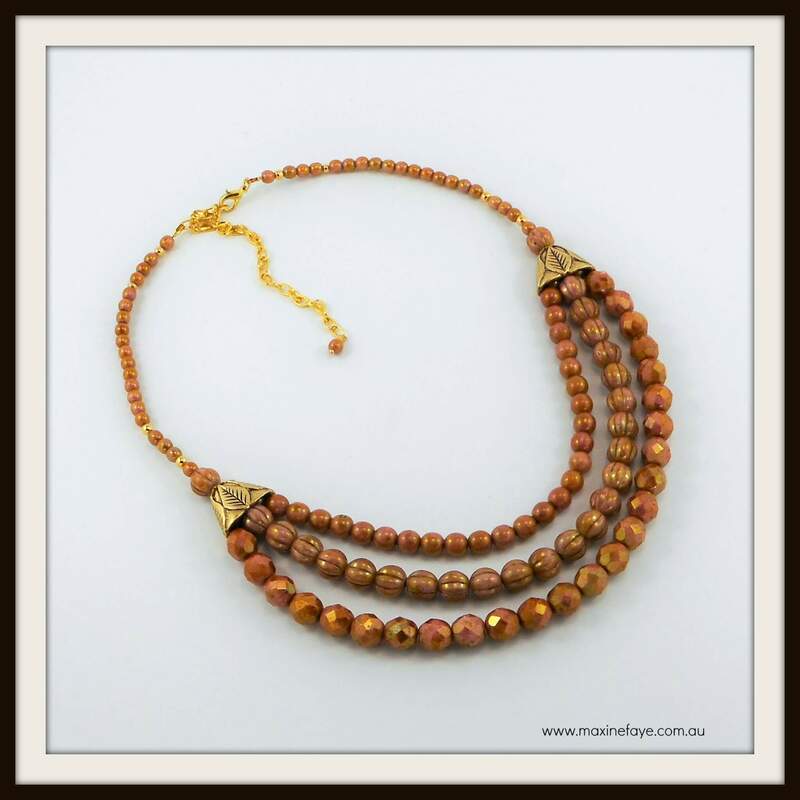 I am delighted that this beautiful Spiral Rope Necklace was awarded 2nd place in the Beading – Woven (on or off Loom) Division of the 2018 West Australian Lapidary and Rockhunting Clubs Annual Awards. Transparent glass seed beads in shades of bronze and green spiral around a centre core of opaque Shamrock Green like vines in a garden. A scattering of clear and silver lined beads shine like dew drops in the morning. The bronze and green spiral is caught together along a spine of similar beads giving the design structure and emphasising the curves. Gorgeous transparent Czech pressed glass bell flowers and leaves drip from these spirals like buds bursting into bloom. The same Shamrock Green beads form the back section of the necklace in a similar spiral pattern which is ended with bead-cones in highly patterned scroll design. A parrot clasp and extension chain allow the shorter row of the necklace to be worn from approx 110cm to 120cm in length. The extension chain is completed with another leaf bead. A piece of jewellery wired or strung together. Jewellery must be ready to wear. Judging is based on aesthetics, originality and design. Three strands of glass beads in Opaque Rose Gold Topaz lustre are paired with gold flattened bead-cones with an etched leaf design and the colours echo that of the facades of the Rose City of Petra. The beautiful 18x13x9mm bead-cones are made in the USA and are a delightful addition to the Czech beads which consist of 8mm fire-polished faceted rounds, 8mm melon shape and 6mm smooth rounds. A strand of 4mm smooth round beads create the back section of the necklace which is finished with gold plated wire guardian, crimp covers, extension chain and lobster clasp. The extension chain enables this elegant necklace to be worn from approx 38cm – 49cm making it very versatile. To honour the Year of the Farmer, the theme for this competition was "Scarecrow". 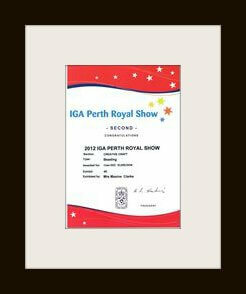 Winning Second Place in the Perth Royal Show for Ceres was a very happy and humbling experience, as there are some fabulous beaders in our community. Wanting to do something out of the box, I consequently came up with this design and hence called her Ceres. Which I thought was especially relevant as she was the Goddess of sowing and reaping. Each wooden scrabble tile was hand-drilled to create the thread-path I wanted, as a result all the threads are internal and can not be seen outside the tiles. 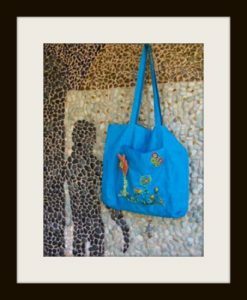 "Summer" Theme Bead Guild of WA challenge - This colourful Beach Bag design was chosen as a joint winner! 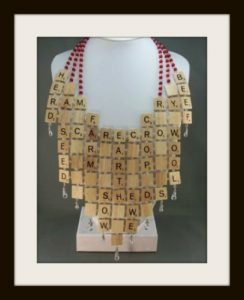 The title of the Bead Guild Members "Challenge" was 'Summer' and most noteworthy, members could make anything they wished from the beads supplied. They could use as much or as little as they like from the kit, and in addition they could add more from their own stash, but earnt points for each bead/item used from the kit. When telling us the outlines of the challenge, Di did say that she could be evil, and on seeing the amount of fibre and the colour combinations - I am apt to believe her. Still, challenges and competitions are a great way of getting the creative juices flowing. The kit contained, memory wire, chain, seed-beads, lamp-worked beads, bugles, crackle beads, pearls, flower beads and 5 different forms of fibre. 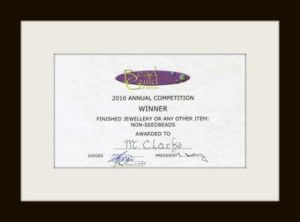 My piece, "Deandra" won First Place at the Cockburn Community & Cultural Council Inc Awards in the Jewellery - Wearable division. Diamond shaped components are joined with handmade links of wire and Czech fire-polished glass. A pressed brass stamping creates the base of the pendant. In addition it is highlighted with Czech Jablonex Vitrial bicones and Boho Gold round corrugated metal beads. Additional drops of Vitrial bicones and Boho Gold metal beads are suspended from many of the jumprings creating lots of movement and sparkle to the design. Finally a neckring is wrapped with Gunmetal coloured wire while the centre features more sparkling Vitrial bicones. The piece "Morocco" won First Place in the non seed bead category. 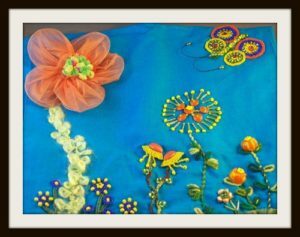 I was excited with the result as the Judges were leaders in their fields and I was competing against some wonderful beaders. 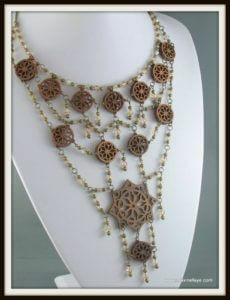 This design was made from lazer cut Cherry wood components linked with wire wrapping and Swarovski Crystals.